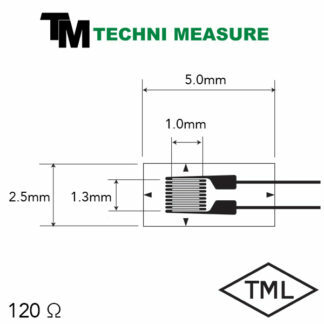 These gauges are used for measurement of tensile strain of bolt. They are simply inserted into a pre-drilled hole in the bolt head together with exclusive adhesives. This method is recommendable when an ordinary strain gauge cannot be mounted on the bolt surface. Accurate tensile force measurement is possible by calibrating the bolt after installing the bolt gauges.